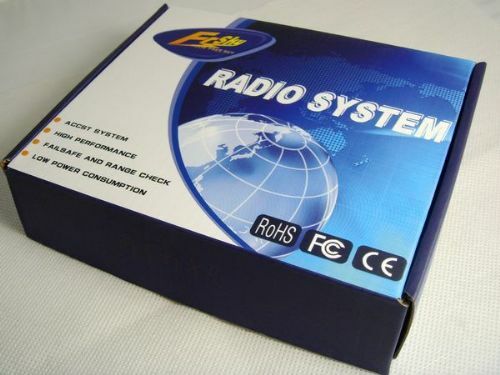 -The Two-way Radio System developed by FrSky provides an additional return link that would be used for monitoring the Rx’s voltage, temperature, location, speed and so on. -Advanced Continuous Channel Shifting Technology ACCST SYSTEM achieves high reliable link in interference rich environments. -Easy to bind and instant link-up. -Error-free link, by using 48bits CRC algorithm. 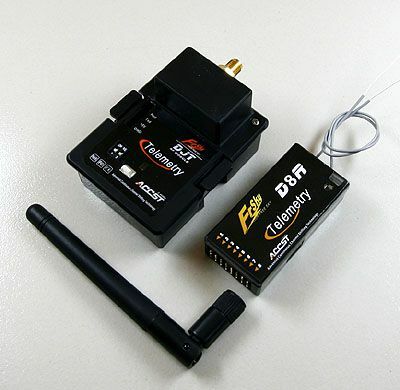 -Receiver is able to accept 2 analog inputs, which can be used to monitor battery voltage, temperature sensor, etc., and transfer them to transmitter. Users can set the Alarm Level of these analog voltages, when exceed or below these levers, sound alarm is issued. -Receiver is able to accept serial data streams from simple 3-wire RS232 port, such information as GPS, altitude, and user developed data can be transferred to Tx without error, and sent at the RS232 port on the Tx.